Many investors are still skeptical that Saudi Arabia will hold firm on oil production. Increased global consumption due to falling prices is unlikely to offset North American production. US consumption is in a secular, structural decline due to increased efficiency and demographic changes. That’s unlikely to change any time soon. The floor may not be where the Saudis think it is. In a situation like this, it is difficult, if not impossible, that the kingdom or OPEC would carry out any action that may result in a reduction of its share in market and an increase of others’ shares. The theme going into 2015 is mean reversion. Oil prices are below where they should be (emphasis mine), and hopefully they will start gravitating back to the equilibrium price of between $US80 and $US85 a barrel. I emphasize the words “below where they should be” because the notion that oil (NYSEARCA:USO) prices belong somewhere – and it’s always higher, somehow – is the linchpin of the bullish thesis. But the question of why a high price regime should prevail over a low price regime is never satisfactorily explained. Higher extraction costs? A sizable chunk of those costs are sunk costs that can simply be ignored in production decisions and lowering the effective breakeven price. A tighter focus on already drilled wells in areas with mature infrastructure could lower costs even further. Moreover, service sector costs fall as rigs are idled. Depleted reserves? Most resource-producing basins are experiencing an increasing yield over time despite the rapid depletion of individual wells. A lot of that is due to extraction efficiency, which is increasing at a phenomenal rate; in fact, one rig today brings on four times the amount of gas in the Barnett Shale than it did in 2006. 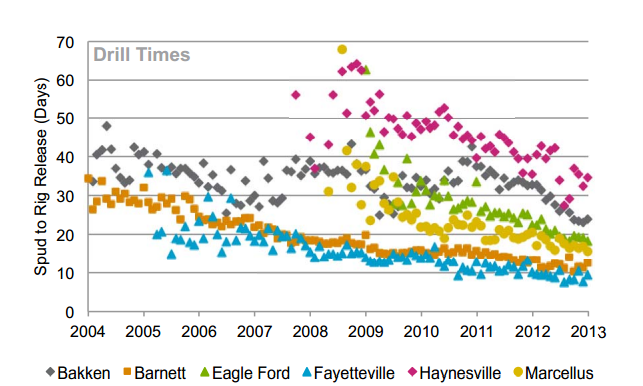 Drill times in the Bakken are also falling, while new well production per rig is steadily rising since 2011. 1981 is an intriguing date for another reason: It marked the first time in over a decade that Non-OPEC nations countries outproduced OPEC. Despite repeated cuts by OPEC, it took five years for capitulation to set in. Nor are lower prices guaranteed to lead to cuts. Indeed, when oil prices plummeted from $4/bbl to 35 cents in 1862, the Cleveland wildcatters didn’t idle their pumps; they pumped faster to pay the interest on their debt. 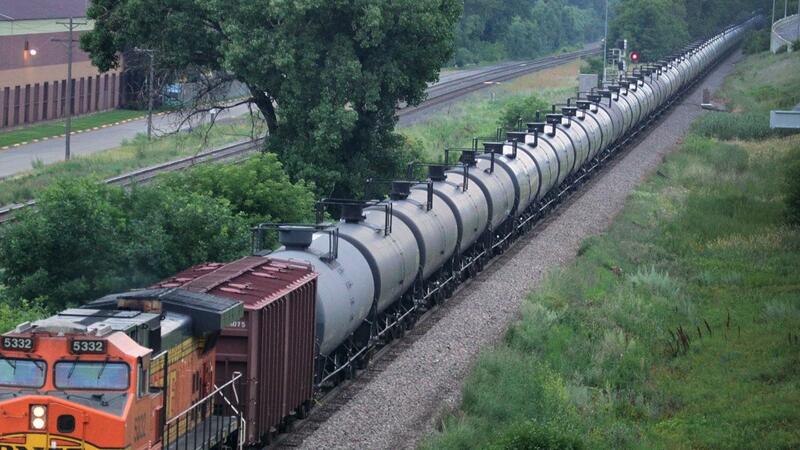 Don’t Iran and Venezuela require higher oil prices in order to balance their budgets and head off domestic upheaval? Please. The Saudis don’t care about Iran’s budget problems. Venezuela is a non-entity despite it’s immense reserves. In fact, Venezuela’s hell-in-a-handbasket status was one of the major reasons for Cuba’s recent defection to the US. Asian stimulus? The only reason that Japanese consumers know that oil prices are lower is from Western news headlines. The share of a day’s wages to buy a single gallon of gas in Japan is 5.59% vs. 2.45% in the US. Nevertheless, the Japanese are riding high compared to the BRICS: In Brazil, it’s 17.62%; in Russia, 7.95%; in India it’s 114.92%; in China it’s 23.54%. Not the most fertile ground for a demand-side revolution; especially since oil is priced in dollars rather than yen, reals, rubles, or rupees. What about the US? Won’t lower prices lead to higher consumption? Despite what you read about our “insatiable thirst” for oil, Americans don’t actually drink the stuff. Our machines do, and those machines are becoming more and more efficient due to CAFE standards and new transportation technologies, especially NGVs. Demographic changes are also leading a secular decline in consumption. Fig. 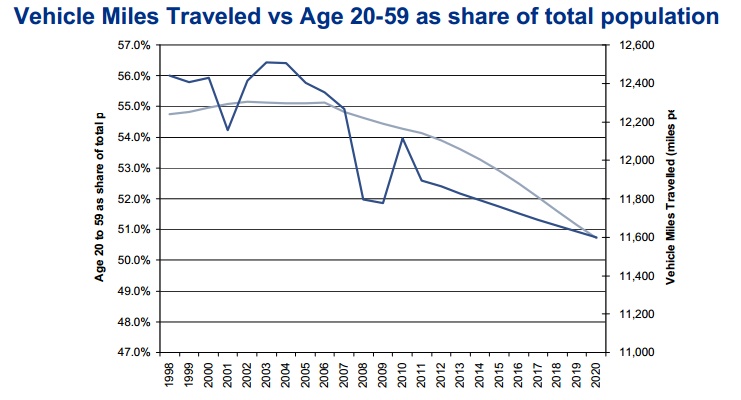 2 below highlights the steady march down for miles traveled per capita as the Baby Boomers retire to slower paced lives. The reality is that there’s little that an uptick in demand can do to offset oil’s continuing price collapse if the Saudis aren’t prepared to cut to the bone. The wildcatters certainly aren’t going to; on the contrary, they have every incentive (and no real alternative at this point) to pump like crazy to pay down debt and break OPEC’s back. 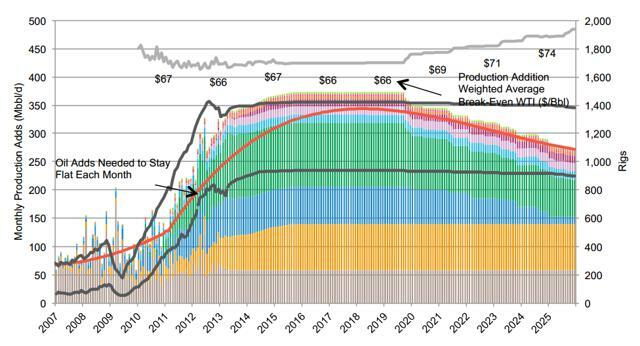 Most doom and gloom prognostications for North American shale use full-cycle breakeven estimates like the ones presented in Figure 2. …what counts at this stage is half-cycle costs, which are in the significantly lower band of $37 to $45 a barrel. This means that the floor is falling and may not be nearly as firm as the Saudi view assume(s). This entry was posted in Energy, Oil, OPEC, Uncategorized and tagged America, Fracking, oil prices, OPEC, Permian Basin, Saudi Arabia, WTI on December 22, 2014 by Bone Fish.